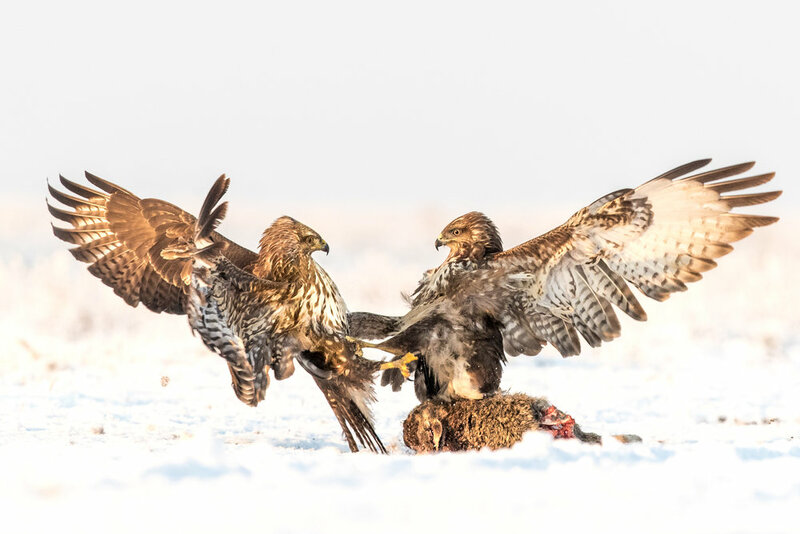 In this intensive workshop, you’ll be joining professional wildlife photographer John Gooday for full-on wildlife shoot from a hide complex in the Lincolnshire countryside covering both night photography (our targets will be otters, owls and herons) and daylight work (buzzards, red kites, kingfishers, woodland birds, herons, egrets). You will be working, eating and sleeping (although not for very long) in a luxury heated hide facility on private land. Starting at 3pm, John will explain the detailed plan for the next 24 hours taking into account weather conditions, recent sightings and image goals. You’ll then be guided through creating lighting set-ups to maximise image quality while minimising disturbance to wildlife. Don’t worry if you haven't used flash before - you’ll be tutored in the techniques. Once the stage is set, we will make ourselves comfortable in the hide, set up cameras and lenses and wait for the night’s wildlife to appear. John will be alongside you to review images as you shoot, offer advice and fix any problems you run into. (Lighting equipment will be supplied as part of the workshop, but if you would prefer to bring your own equipment please contact John in advance). During the night we’ll wait for wildlife and photograph as it arrives. Camp beds are provided for you to grab a little sleep. Just before daybreak, we will remove the lighting equipment and set the area ready for daylight wildlife. We’ll use three separate shooting areas in the hide. 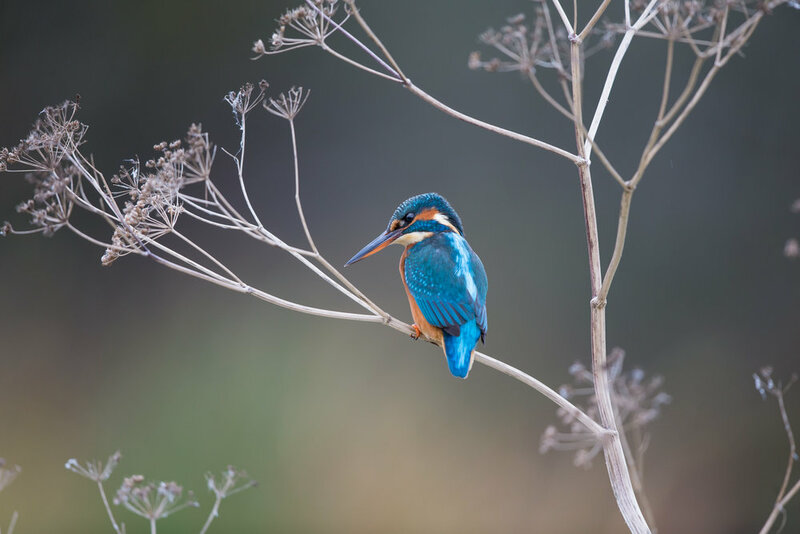 In the pond area we’ll look at approaches to kingfisher photography, both portrait and action. At the feeder section we’ll concentrate on composition, background and camera technique for woodland bird portraits, remaining alert for the Sparrowhawk that chasse the smaller birds. In the grassland area we’ll wait for any buzzards, red kites or corvids that visit, finishing around sunset. Each workshop will have just two participants to ensure the best teaching and shooting experience. While we cannot guarantee that a particular species will visit during the workshop (all our subjects are wild) we normally see a good variety of subjects. Areas inside the hide are spacious and comfortable with multiple shooting points and one-way reflective glass viewing windows for observation. The hide is heated and has a toilet. The hide complex from the pond side. Two other sides give different views for other species - grassland and a feeding station with distant tree background. You’ll need one or more DSLRs and lenses in the range 200 - 500mm. There are multiple shooting positions, so more than one lens is advisable in order to cover different areas of the hide. Please bring tripod heads - these will be attached to the shooting benches (the tripod leg section is not necessary). The hide runs on a low voltage battery system for lights and water pump - it’s not suitable for charging batteries or powering mains devices so please bring enough batteries to last the 24 hours. You’ll need to bring along food and drink to keep you going. There are no cooking facilities, but hot and cold water will be available (instant noodles, sandwiches, fruit, cuppa soups, energy bars are good choices). Wellingtons will be needed, along with warm outdoor clothing, for setting up equipment outside the hide. Inside the hide, comfortable dark coloured long sleeved clothing must be worn along with indoor footware. The workshop will run from 15:00 until 16:00 (aprox.) the following day. The hide complex that we’ll be based in is near Stamford/Peterborough in Lincolnshire, roughly 15 minutes drive from the A1. Workshops are limited to just 2 participants and places are assigned on a first-come basis. The first workshop is offered at a special introductory price of £295 per person (this includes flash equipment hire). This workshop is a very intense small group (3 guests max. per workshop) Workshop in search of Eagles in Koros-Maros National Park, Hungary. 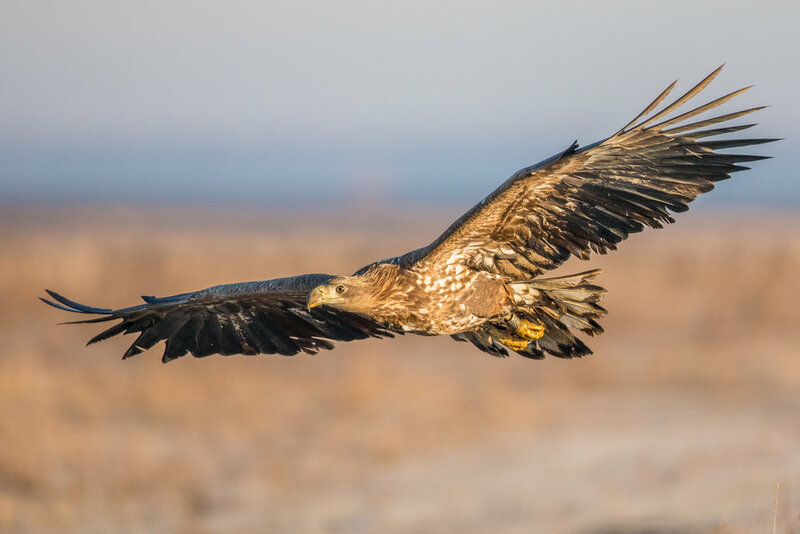 Not for the faint-hearted - mornings will be very early, days long, and conditions in the Eagle hide basic but we should be rewarded with close-up images of White-tailed and Imperial Eagles visiting a site we have prepared in the heart of the National Park. They are normally joined by large numbers of Buzzards and hooded crows. Occasionally, Marsh Harriers and Sakker Falcons may fly past. We need to be in place in the hides before dawn and won’t be able to leave until after dark as the Eagle are very sensitive to human presence. The hide has one-way shoot through optical glass both at ground and chest level and is heated, There is also a fan system to prevent condensation on the glass and a chemical toilet in an anteroom. As the birds are all wild, we can’t guarantee exactly what will or won’t turn up but we will have been attracting them to the site with daily food offerings (hare, rodents, sheep carcasses) for several weeks prior to the workshop. The images shown were taken during trips over the last two years. In addition to days spent in the Eagle hide, we will also visit a thermal pool to photograph Kingfishers and use one of several purpose built hides for woodland birds. At the end of a hard day, we’ll eat in a local Hungarian restaurant and then relax in our well-appointed private villa. Each guest has their own bedroom and shares a bathroom with one other. There is a well appointed lounge and dining/kitchen room plus wide screen TV, Espresso coffee machine, dishwasher etc. There will be an opportunity to review some of your images at the end of the day to see what’s working well for you and where you might need a bit more focus. The price of the trip is for 5 nights including accommodation, meals and transport/airport transfers. Please note that flights to Hungary, travel insurance and alcoholic drinks are not included! If the Pound - Forint exchange rate drops by more than 10% from its Feb 28th 2018 value of 331.43 Forints to the pound (as listed by HSBC UK bank Travel Money website) then we’ll add a surcharge to the final amount to cover the difference. This will be paid with the final instalment 6 weeks before the trip date . If we do so (and I’m hopeful that it won’t be necessary) then you will, of course, be offered the option to cancel the trip at that point and we will refund your deposit. Should you prefer to pay the entire amount of the holiday when you book then I can guarantee there will be no surcharge..
Our current price (not including the above described currency exchange rate proviso) is: £845 per person. A deposit of £195 pounds per person is required at the time of booking, with the balance due 6 weeks prior to the trip. A DSLR is essential for this trip. The perfect choice is a model with good high-ISO performance as winter light, especially early and late in the day, can be quite limited, a reasonable frame rate (for flight shots), and a modern autofocus system with multiple focus points. Both full frame (FX) and crop sensor (DX) models are suitable although I recommend longer lenses for full-frame. You’ll need enough batteries for a full day of shooting, and plenty of memory cards. You’ll also need a sturdy tripod for use in the hides. This should be rated to support the weight of your heaviest lens plus camera plus tripod head plus an extra kilo or more. We won’t be walking long distances, so weight of the tripod isn’t too important. The tripod head should be similarly rated. Generally, people tend to use Gimbal heads, fluid video heads (or, occasionally, ball heads). You’ll be using the tripod while sitting on chairs so it doesn’t have to be particularly tall. We can supply beanbags for shooting through the additional floor-level windows in the eagle hide. Most wildlife photographers remove the centre column of the tripod (if it has one) to improve stability. 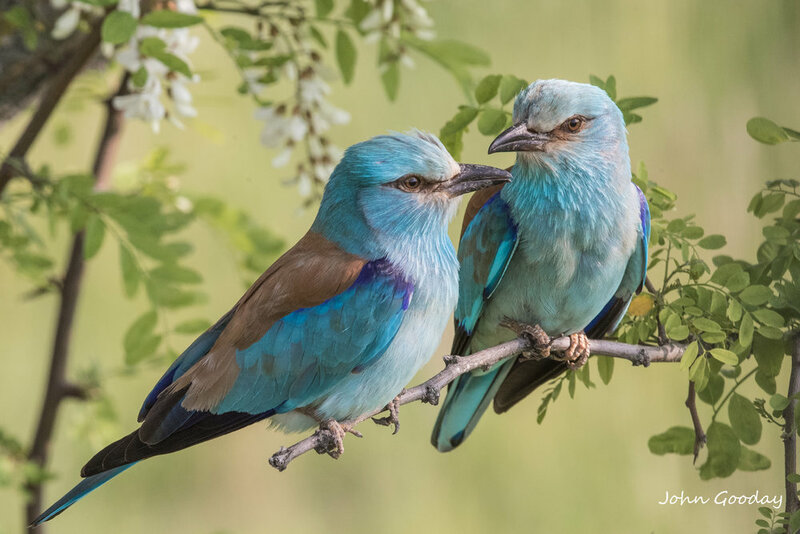 You’ll need a long telephoto lens for smaller or distant subjects - ideally at least 400mm for a crop-sensor (DX) camera and at least 500mm for a full frame. If possible (and if your lens is compatible with them) bring along extenders to give yourself further flexibility. 1.4x extenders are the most useful, but 1.7 or 2x can be occasionally helpful. A mid-range telephoto will be needed for larger (and closer) birds. 200mm for a crop sensor, 300mm for a full-frame sensor are ideal. Of course, if you have a zoom that covers this range then that adds flexibility. If you have a choice of suitable lenses, it’s best to bring one with the widest maximum aperture (lowest f-stop value) to help with low light shooting and to render backgrounds nice and soft. One-way glass in the Eagle hide lets us get closer to the birds than open hides but it reduces the light reaching the camera by 1.5 stops. High-quality telephoto and super-telephoto lenses are expensive. If you don’t already have one, you might want to think about hiring one just for the duration of the workshop as this is a lot cheaper in the short term than buying. I’ve found www.lensesforhire.co.uk to be very good in the past in terms of range of lenses and reliability. If you have white lenses (Canon, Sony) you’ll need to cover these with dark material or lens camouflage as they can easily be seen by the birds, even behind one-way glass. Please pack battery chargers for your camera (and a European to UK adapter plug). A cable release can sometimes be useful for longer exposure tripod shots. Lens cleaning cloths and a blower are always recommended. If you have a laptop, I’d suggest bringing it along. If you pack a memory card reader you’ll be able to back up and review your photos on the computer. We’ll also be looking at post-processing techniques for wildlife images during the workshop, so a laptop will enable you to try these for yourself. (We’ll be using Adobe Lightroom and Photoshop, but the techniques apply to other image editing packages). There’s WiFi at the accommodation, so you’ll be able to keep in touch with the outside world. All clothing should be in subdued or dark colours to aid concealment. It’s likely to be cold, so so pack layers - ideally a thermal base layer then an overlayer. You’ll need water/snow proof winter coat, trouser, boots and good gloves. Join us for an intense small group (4 guests max. per workshop) 5-night Wildlife Photography Workshop set in and around Koros-Maros National Park, Hungary. 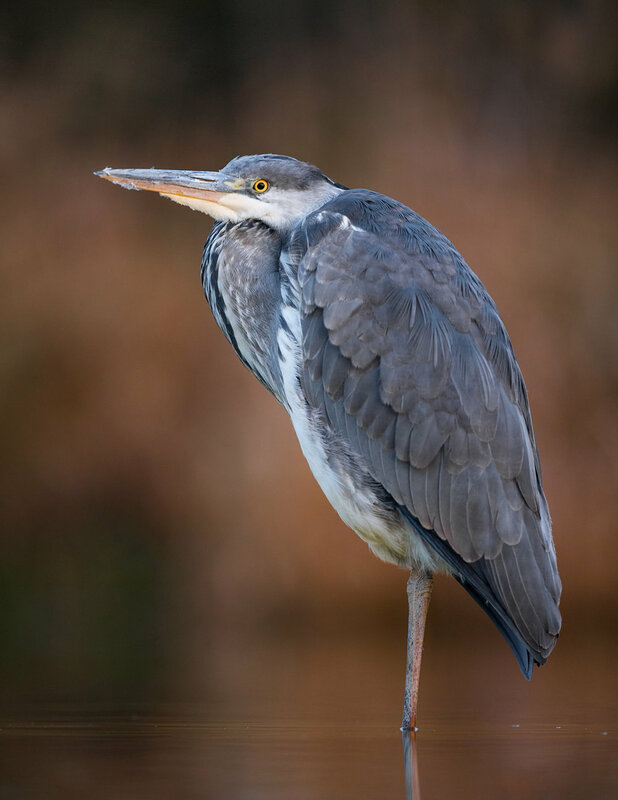 Every day we’ll be photographing a variety of wild birds from a mixture of pop-up and permanent hides while learning the key techniques of bird photography. I’ll be on hand to give you one-to-one guidance and help you get the most from your visit and equipment. There’s also the chance for you to learn advanced use of flash to tame tricky lighting situations including harsh sunlight and limited light. This is very much real wild life photography - we’ll be starting very early(often 4am) to be in place ready for the first action, usually taking a break in the middle of the day before continuing later in the afternoon when the light becomes softer. Sometimes we’ll continue shooting straight through the day, if subject and light are good. There will usually be periods of waiting followed by frantic bursts of activity. You’ll have to work harder and longer than on some other photography workshops but you’ll learn a lot that you’ll be able to apply to your photography elsewhere and return home with a portfolio of images. The price of the trip (£895) is for 5 nights including accommodation, meals and transport to hides/airport transfers. Please note that flights to Hungary, travel insurance and alcoholic drinks are not included! A deposit of £195 is required at booking to reserve your place, the balance of £700 is payable 6 weeks before your workshop date. This is an advanced workshop that will cover the key techniques of using flash for wildlife work both at night and during the day. Classroom sessions on the techniques followed by practical sessions with captive birds of prey (in flight and stationary) to put theory into practice. The emphasis is on using flash responsibly to capture stunning images without distressing the subject. Daylight fill-in for harsh sunlight needs… sunlight. Day trippers are limited in number and are present only during a six hour window between 10am and 4pm - for the remaining 18 hours Skomer is peaceful, empty and the perfect place to photograph Puffins. The workshop includes accommodation, tuition, crossing charges and breakfast and dinner. Skomer: Off grid and wildlife focussed. 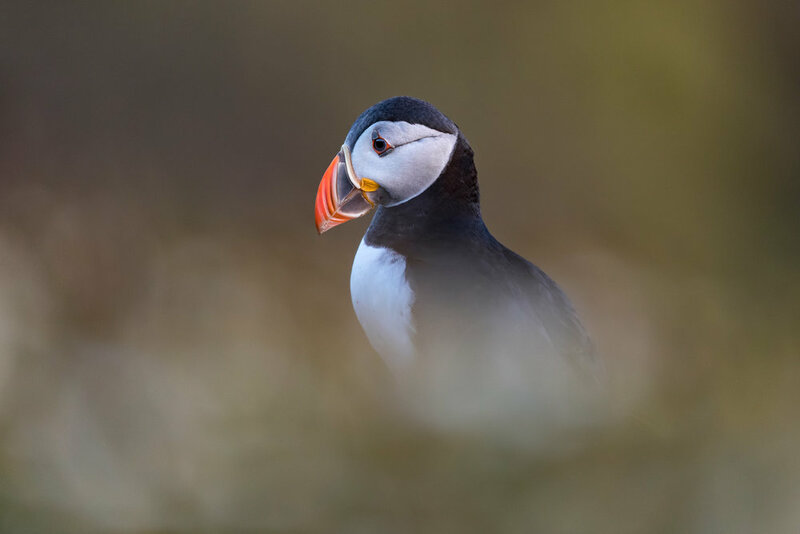 Although Puffins are the main attraction, Skomer is host to much more wildlife: short-eared owls, meadow birds, iconic seabirds including Razor bills, gillimots and manx shearwaters to name Just a few. You’ll need to prepared to pack light, get up very early, walk everywhere and manage without mains electricity for a couple of days… but the photographic opportunities are worth it. There are two workshops in 2019: one in May - courtship, mating and nest building time; and another in July when the Puffins are busy feeding their young with sand eels. 8am Meet at West Hook farm, between Marloes and Martn’s Haven. We will then carry our luggage to the Martin’s Haven jetty where we will take a boat for the short journey to Skomer Island. As we approach the island you will see Puffins and Razorbills flying low across the water. From the landing point there is a steep, long track to the top of the cliffs so pack light! The Skomer visitor’s officer will meet us and give an initial briefing before we walk to our accommodation (approx 1 mile along a track). After room allocation and general orientation, we will head out as a group to visit the key areas on the west and north of the island, Dinner will be served at 5pm back at the accommodation so that we can return to the Wick and photograph puffins an evening light. At 9pm I’ll give a presentation on techniques for photographing the wildlife on the Island along with tips on location and camera angles. Following an early self-service breakfast we will walk the coastal path on the south of the Island looking out for meadow birds, the occasional wader, short-eared owls and others. We will spend a while around the cliffs at North Harbour photographing Razorbills, Guillemots, Puffins in the water and any other interesting species around at that time. During the afternoon you’re free to visit an area of your choice, or join me on the trail North from the farm in search of meadow birds. Dinner will again be served at 5pm before we go out again for evening light. At midnight, there’s an opportunity to join my in search of the Manx Shearwaters that arrive by night to avoid predatory gulls. We’ll need to ensure all bags are packed and ready in the accommodation courtyard by 8:15am. However, there’s still a couple of hours of light before then for those who want to explore further or revisit earlier photographic sites. Once the bags are ready, we’ll walk back to North Harbour and take the boat back to the mainland. There will be a truck to take the luggage back up the steep hill to Hook Farm where we will say are farewells around 11am. Suitable for wildlife photography intermediates and advanced level. High activity level - we’ll be walking up to 2 or 3 miles on rough trails. You’ll need a DSLR or good mirrorless interchangeable lens camera plus enough batteries and memory cards to last the trip (recharging batteries may not be possible on the island - solar power is dependent on the weather!). Lenses: on a full frame body a 300mm plus extenders or 100-400 zoom will be ideal for most subjects, a 500mm plus a shorter lens such as 70-200mm is an alternative but heavier combination. A wide-angle lens is useful if you want to take landscapes or astro-photography images. We provide breakfast and dinner but you’ll need to bring some lunch with you - noodles, soup, pasta and energy bars are favourites and relatively light-weight.